A boy whose great intuition helped some of the previous pilots to defeat their enemies. Moji was kind and insightful, often ready to give advice and wisdom to his comrades when they needed it. The other children often came to him for advice. 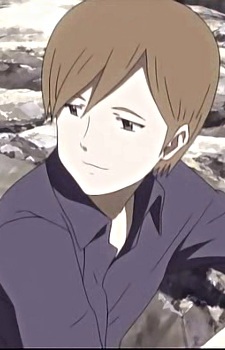 He had two childhood friends: a girl named Tsubasa, and a boy named Nagi, who had a heart disease. Upon checking, Moji found out that his heart was a perfect match for Nagi. After his victory, Moji has Dung Beetle transport him to a hospital where Nagi could receive his heart. His chair was a plastic chair with a metal frame back that curved around into a semicircle, which was the same chair in the hospital's room where Nagi was being kept. In the anime he was the first to realise that the enemy were not just robots after an exchange of mind games with his opponent.